We can’t believe how quickly that year has flown by, but what a year we have had here at the Old Courthouse. We survived our first Race Week, we pushed on through one of the hottest summers on record, smashed our first Christmas and New Year and the sun even shined on our January blues. Now as a thank you for all your support, we would like to invite you to join in our 1st birthday celebrations. 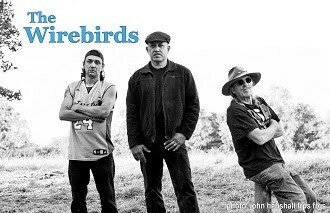 On the 16th February we will have live music from 9 - late from The Wirebirds in our downstairs bar. Sam has created some of the year’s favourite perfect serves at a reduced price for 1 day only. Also come and have a nosy at our re-furb pictures which will be dotted around the pub all weekend. Thank you for your support and we look forward to seeing you at the party. We are delighted to have discovered the Old Courthouse building and for it to become the latest addition to the Brunning and Price family of pubs.